GIF Marketing – No matter how you pronounce the word, GIFs are increasingly popular and Tenor, the company who created the GIF keyboard, has pulled some metrics on the top GIF marketers to shed light on consumer behavior. Check out the Marketing 101 suggestions from AdWeek, and the top performers from Domino’s, Netflix, Coca-Cola and Starbucks. Chicago Thrill-Seekers – The Willis (Sears) Tower announced a planned renovations. A $20 million upgrade will include expanding the Skydeck to two floors, adding an open-air ledge walkway, and letting visitors use a rope (and harness) to rappel inside a glass box on the building’s exterior from the Skydeck’s top floor to the one below. Profiling Reddit – Reddit is finally following suit of Facebook and Twitter by embracing user profiles. Currently in a testing phase, users will soon have a personal page tied to their avatar along with a feed. 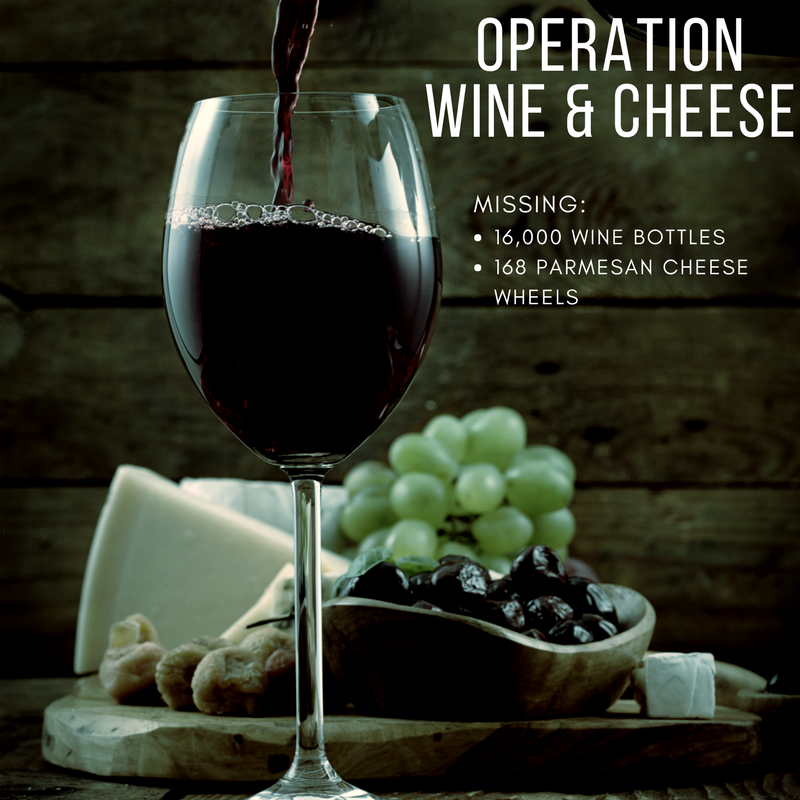 Operation Wine & Cheese – An elaborate crime gang dedicated to the theft of wine and cheese was arrested by the Italian police this week as part of “Operation Wine & Cheese.” According to police the gang had stolen more than 16,000 bottles of fine wine and 168 wheels of Parmesan cheese dating back to 2015. Influencer Strategy – A new study from the Media Insight Project has found that it is the identity of the sharer on social media who has the biggest impact on whether an individual trusts the story, more so than the news source. This research further credits the importance of working with credible influencers who can act as brand ambassadors.